The end of O.J. 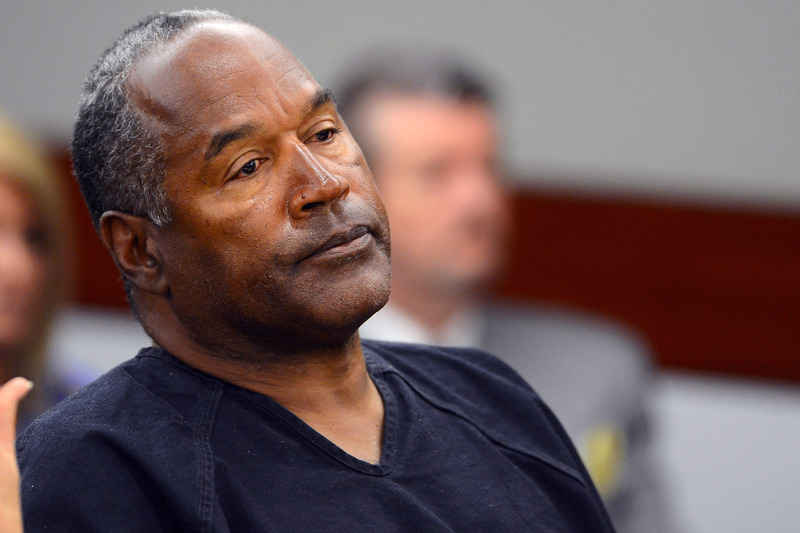 Simpson's criminal trial came in October 1995, when Simpson was acquitted of the murders of his ex-wife Nicole Brown Simpson and Ron Goldman. But that was far from the end of the case. In August 1996, his civil trial began and a few months later a jury found Simpson liable for the deaths of Brown Simpson and Goldman, and he was ordered to pay their families $33.5 million in damages, as reported by The New York Times (Simpson maintains his innocence). Of course, there were many differences between the two trials, one being that Simpson was actually questioned in the second proceedings, and you can still watch video of O.J. Simpson's deposition for the civil trial. In clips of the deposition (which is hours long in total), you can see Simpson speak up in his own words — though often those words are only “yes” or “no.” In the deposition, Simpson is being questioned by Daniel Petrocelli, who said in an article for The Hollywood Reporter that he had actually never tried a case relating to murder before. "I had never tried a murder case, a wrongful-death case or even a personal injury case, let alone anything as publicly visible as the Simpson case," the attorney wrote. Petrocelli questioned Simpson on everything from the infamous Bruno Magli shoes to photos of Brown Simpson from before her murder with what appears to be bruises. Before you watch the deposition, here are some notable quotes. When Petrocelli began to question Simpson about the size 12 Bruno Magli shoes, Simpson told Petrocelli how ugly the shoes were. “They were ugly to me. Aesthetically, I felt that they were ugly and … I guess beauty is in the eye of the beholder, and to me they were ugly shoes," said Simpson. When shown a picture of himself wearing the same “ugly” shoes months before the murder, Simpson claimed that the shoes he is wearing the photo are not the shoes in question. When Petrocelli showed Simpson a photo of Brown Simpson with bruises, Simpson first made it seem as if he didn’t see the bruises. When pressed by Petrocelli, Simpson said, “No, I mean, I see this eye thing.” Then, he went on to claim that the bruises aren’t real, but were made with makeup. “It reflects doing a movie that we’re doing and we’re doing make-up,” Simpson said. Petrocelli began questioning Simpson about allegedly beating Brown Simpson and at first, Simpson denied ever beating his ex-wife. However, he then answered, “Yes” when asked if he had ever physically hurt Brown Simpson and said of the bruises, "all my life with Nicole, no matter what was going on, I handled it without being physical with her. And that time I got physical with her and I’m ashamed of it. I wish it not had happened." According to USA Today, trace amounts of both Goldman’s and Brown Simpson’s blood were found in Simpson’s car. When Petrocelli asked Simpson if he knew why there was DNA from both of the victims in his car, Simpson replied, “No,” and ended the line of questioning. You can watch more of Simpson's deposition via 20/20 below.